TTMT #118 – 21 Shirt Salute! 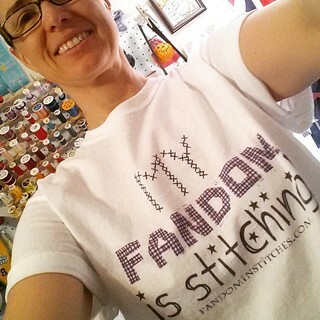 This entry was posted in talk to me tuesday, vlog and tagged drawing, fandom in stitches, giveaway, talk to me tuesday, ttmt, winner, zazzle on March 17, 2015 by Jennifer Ofenstein. Occasionally, when testing patterns I’ve designed, and whenever it’sappropriate, I piece sets of blocks in the same fabrics. My intention in this is to eventually have not only tested the patterns, but to have samples to scan and eventually a set of blocks that can be pieced together and donated to The Linus Connection. 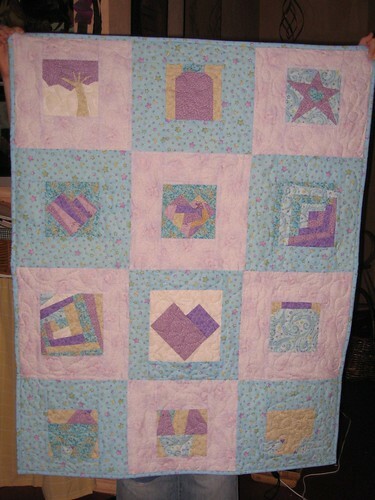 Earlier this year, I did have enough blocks for a 3×3 quilt, but decided that wasn’t quite what I wanted. I love Cat Magraith’s chicken patterns, available through the sewhooked Guest Designer page, so I decided to make a few of those, too. Not all the blocks were exactly the same size, so I added borders in coordinating colors, then squared them all up to, if memory serves, 10 1/2″. If you like trying out paper pieced blocks, or are maybe just learning, and don’t have a project in mind, consider piecing together a sampler and donating it to a local blanket-making charity. There are charities all over the world that take handmade quilts and yarn blankets and usually finding the one near you is one Google search away! Like Star of My Heart, listed above, I’ve recently started posting new patterns for sale in my etsy store. Part of the purpose of this is to help fund sewhooked. I don’t currently have advertising or sponsors and I pay all the fees for the website and blog out of my own pocket. Now, I do love sharing free patterns and doing so has given me the ability to hone my skills to the point where designing is becoming my work-from-home career. I briefly considered a paypal donation button, but what would you get from that? I’m not a charity, I’m just one woman who loves to share, teach and inspire and I have done my best to do just that, for free, for many years now. If you enjoy sewhooked and all it has to offer, consider purchasing a pattern or other item from the etsy store now or in the future. If not from etsy, I also have a number of items available through zazzle. All proceeds go right back into sewhooked and keeping all it’s free content online. 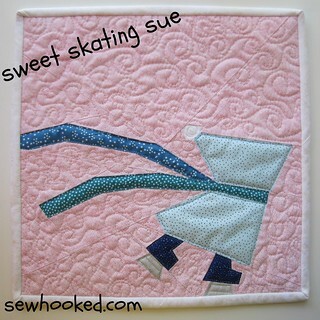 This entry was posted in etsy, paper piecing, quilting, The Linus Connection, zazzle and tagged etsy, free patterns, paper pieced patterns, paper piecing, zazzle on August 22, 2009 by Jennifer Ofenstein.